With today’s hectic schedules, moms want to make sure that their children are getting the nutrients they need to grow healthy and strong. That’s why we’ve developed Cheri Mins provides Majestic Earth Plant Derived Minerals liquid supplement most advanced on the market! 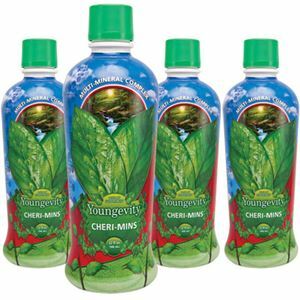 Kids will love the natural flavor Cherry Cheri Mins and more than 90 essential nutrients, including at least 60 essential minerals, 13 vitamins, 18 amino acids and 3 essential fatty acids, it is the perfect base for good health! SUGGESTED USE: Adults, mix one or two ounces in a small glass of fruit juice or vegetable of your choice. Drink during or after meals one to three times a day or as you wish. For children, reduce the amount of two thirds. WARNING: If you are pregnant, nursing or taking medication, consult your health professional before using this product.